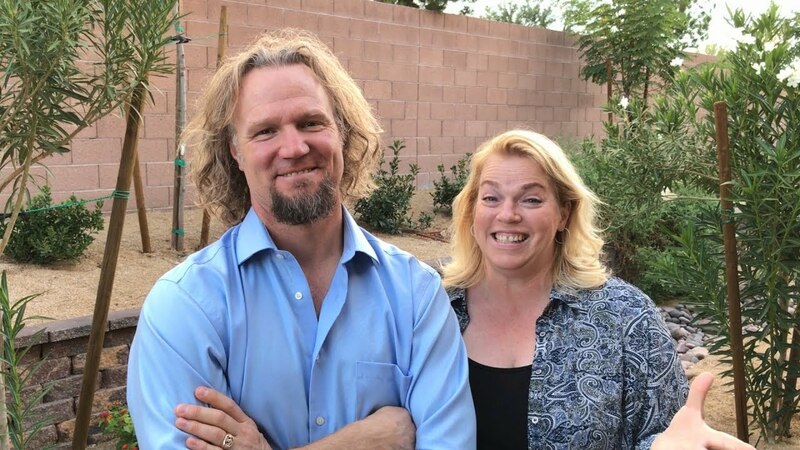 If you are a fan of the TLC reality TV series, Sister Wives, then you would certainly know Janelle Brown who is among the prominent characters of the show. She is famous for being one of the wives of the reality TV star, Kody Brown. Asides the show, Brown is equally one of the minds behind an online clothing line called My Sisterwife’s Closet. In addition, she runs her own show, Janelle Browns’ Weight Loss Diary which airs on TLC network. She is also a published author and has launched two books including Becoming Sister Wives and The Story of an Unconventional Marriage. Join us, as we take you through her biography, family life, and other facts below. The reality television star was born as Janelle S. Schriever on the 6th day of May 1969 in the United States. She was born to American parents Sheryl Usher and her then-husband Robert Brown. Her father was said to have died in 1972 when she was just three years old. After his death, her mother married Merlin Fryer, and when they divorced, she went on to marry Kody Brown’s father Winn Brown who happens to be Jannelle’s father-in-law. Brown grew up with her only sister, Carrie; however, there isn’t much information regarding her sister. Growing up, Janelle, who was born into the Mormon faith, was raised in the same belief system. She lives and practices the Mormon way of life even today. Janelle is well educated; nevertheless, the details of her basic and higher education are not known. The much we could gather is that she graduated from Bountiful High School when she very young. Janelle Brown joined the Sister Wives reality TV show in 2010 as one of the wives of the polygamist Kody Brown. The documentary show which premiered in September 2010 revolves around Kody Brown, his four wives including Janelle, Robyn, Meri, and Christine and their 18 children. Through the show, the Brown family tends to get the public informed about polygamist families and how to combat societal prejudices. In his own belief, Kody Brown has stated that the polygamist arrangement is legal as he is rightfully married to only one woman while the others are spiritual unions. Currently, in its 13th season, the TLC show has been running for over 9 years and counting. It has completed over 149 episodes and has kept Janelle and her family in the spotlight for a very long time. Meanwhile, she has been one of the main casts of the show alongside her six children. Just like we mentioned earlier, Janelle Brown has become famous through her unconventional marriage to Kody Brown. The pair met each other in the early ‘90s and after a few years of successful relationship, they became spiritually married precisely on 20th January 1993. The couple has six children together, four boys – Taylor, Logan, Gabriel, and Robert as well as two girls – Savanah and Madison Rose. Their daughter Madison got hitched to Caleb Bush on the 4th June 2016 and they have a son named Alex Bush. Janelle and Kody’s first son Logan announced his engagement to Michelle Petty on 15th September 2017. Prior to their marriage, Janelle was married once before. Her first marriage was with a man named Adam Barber and their short-lived marriage lasted for barely two years from 1988 to 1990. Although they got divorced, the couple has never disclosed the reason behind their divorce to date. The reality TV star has undoubtedly become a prominent figure on television. The sister wives show has not only brought Janelle to the limelight but has equally helped her make huge wealth for herself. Although she is not the highest earning star on the show; she gets a fair share of salary from each episode of the show. While her salary cannot be ascertained at the moment, Janelle Brown’s net worth has been estimated to be $400 thousand. She made her wealth from her TV shows, businesses, and other endeavors. 1. Janelle is the only wife of Kody Brown who didn’t come from a polygamist background; her co-wives all came from polygamous homes.